BV SPORT | Compression Socks, Running, Hiking, Recovery. Looking for socks for running, skiing or hiking? Recovery socks or compression socks? Find out about our range and improve your performances during your sport practice thanks to these specialized products. Designed in collaboration with high level athletes and scientists, our socks are recognized for their quality, comfort and efficiency. 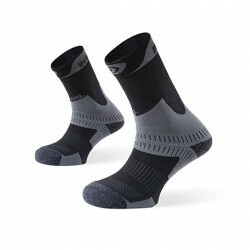 Ultra-technical socks adapted to all sporting disciplines. Easy threading, improved venous return, limited rubbing… Each recovery sock for men and women is optimal! Whether you practice running, hiking or trekking, you will appreciate the design of these socks perfectly adapted to professional or non-professional athletes’ needs. Made in our French production plant, this MULTISPORTS 2-in-1 sock offers the CALF compression (BV SPORT patent) of the BOOSTER combined with an ultra-technical foot. The right amount of compression on the calves improves veinous return, helps deliver more oxygen to the muscles, tendons and ligaments there by optimising performance. Enjoy all the advantages and benefits of compression with this recovery sock, especially developed for recreational sports. This sock is comfortable. Its tall stem provided with a seamless side which is conceived from COOLMAX, providing an optimal thermic regulation. This hyper ventilated sock is composed of two layers. The first one adheres to the foot and the second one adheres to the shoe. This manufacturing technique avoids the frictions and limits the warming.